Westinghouse aims to do more than just reheat and defrost food, with its collection of built-in and countertop microwave ovens. Part of the Electrolux Group, Westinghouse operates alongside other household appliance brand names like Simpson and Dishlex to form what is claimed to be one of the largest producers of premium appliances. From standard convection microwaves to combination models, the company provides a number of microwaves described as ‘hard wearing’, ‘stylish’ and ‘easy to clean’. Other Westinghouse products include cooktops, ovens, fridges, rangehoods, freestanding cookers, dishwashers and freezers. 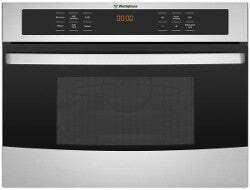 If you’re shopping for a family-friendly microwave, the Westinghouse WMB4425SA might be the model you’re looking for. The 44L built-in convection microwave oven provides 900W of power and contains features like fingerprint resistant stainless steel to keep a clean finish as well as a FamilySafe child lock to prevent curious fingers from accidentally opening a hot oven. The grill function is also said to allow households create a wider variety of dishes. The 44L built-in convection microwave combines the functionalities of a microwave and oven with a convection and grill power of both 1750W. 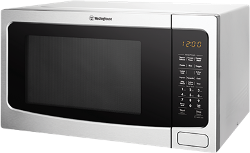 The Westinghouse WMB2802SA is a 28L fully built-in microwave with eight programs and four power levels. It provides 900W of power shares similar functions to the brand’s other models. Some of these include multi-stage cooking, child lock, and quick start. Like many of the other models in the brand’s microwave range, the Westinghouse WMF4102WA is a 40L countertop microwave oven with a stainless steel finish. It provides 1100W of power and is one of the lower priced options available. Featuring auto cook options for a number of dishes, the freestanding microwave is an ideal option for anyone looking for an easy-to-use appliance. 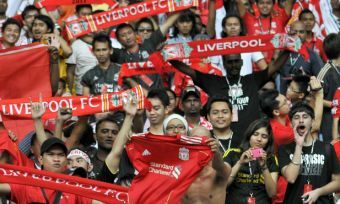 Some of the suitable dishes include frozen meals, frozen pizzas, rice and veggies. The auto menu provides a list of tailored options to melt food like chocolate or cheese as well as soften items such as butter and frozen juice. 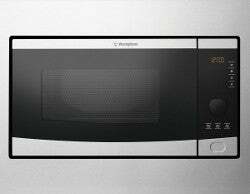 Keep things simple in the kitchen with the Westinghouse WM4102SA microwave. The 40L countertop microwave oven provides 1100W power and includes a variety of quick touch presets for dishes like ready meals and frozen veggies. It also provides a favourite program function which is said to help you quickly refer to your preferred settings quicker. Unlike most of the microwaves available from the brand, this model does not come with a grill. Should I buy a Westinghouse microwave? If you’re looking for a simple appliance, microwaves like the Westinghouse WM4102SA 40L countertop or the Westinghouse WMB4425SA 44L built-in convection microwave are stated to provide a variety of user-friendly quick cook options. From pizza to popcorn, many of the Westinghouse microwaves include an auto cook menu for a variety of dishes. However, keep in mind that the effectiveness of the function is said to very depending on factors such as the shape and size of your meal, placement and personal preference. The grill option on most of the microwave products is also said to open up a wider variety of culinary uses. Each microwave similarly contains a favourite function which allows you to save up to three settings. Finding the right microwave for your kitchen can be tough. To help your decision, visit the Canstar Blue ratings and reviews page to compare a wide range of microwaves from a variety of brands.